Finally, after what seems like years in the planning with various decisions made, and then cancelled, we are off to Florida AT. LONG. LAST! (and I've decided to capture the good, bad and ugly in a trip report!). Me (Michelle) - will be 47 when we travel. I've been hooked on Disney since my 1st trip way back in 1998. What am I looking forward to? Sunshine, BTM, Soarin (never been on it before but always sounds fab), and FOP (If we are lucky enough to secure FP). Must admit, I’m not a shopaholic (limited funds with 4 kids mainly prevent me &#128521 , but I am looking for a few bits when we go. DH also wants a new iPod. That's me pictured above with my youngest daughter in Costa Coffee! DH (Chris) - an HGV driver. As the son of a former BA engineer (my FIL worked for BA for over 40 years), he has been stateside probably around 20 times. He remembers a voucher system on his 1st trip to Disney (old man that he is ;-) ). Despite going all over the USA, he doesn't classify himself as a Disney fan (he's just finally succumbed to my nagging to go!). In all honesty, DH is a big Sci-fi fan and is looking forward to a day at KSC (tickets for which I still need to book). Then there's our 4 children. DS Jonathan (16 years), football obsessed (Arsenal in case you care), also plays as goal keeper for a local team. Loves big thrill rides at Theme Parks & water parks. DD Abigail (Abi) 12 years. Like most girls her age, it's all about hair, nails, clothes and boys (not necessarily in that order!). Again loves big thrill rides and is looking forward to TL & BB (after binge-watching on YouTube!). Is also wanting to dump her Dad & brother for a day so us girls can get a decent amount of shopping done! She loves Stitch with all her heart and has adorned her side of the bedroom with many Stitch cut-outs and plush toys. DD Jessica (Jess/Jessie) 10yrs. A very headstrong character and an avid ROBLOX gamer. In contrast to her siblings, is NOT looking forward to any rollercoasters (maybe she'll change her mind but I'm not going to pressure her). After watching YouTube, her &lsquo;must-do' is the Figment ride. 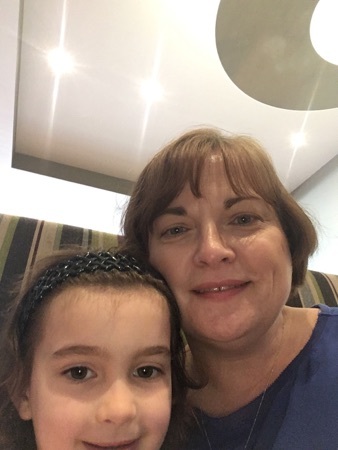 Finally youngest DD Kirsten (age 7) - a complete sweetie, also loves Roblox and is looking forward to seeing the Castle and eating pancakes for breakfast! Booked through Ocean Florida- very happy, so far I can't fault them. As I work in a school (TA), I'm working right up until the last moment. That means I finish school Friday 5th April, home for a quick freshen up and change, then we drive down from Cambridgeshire to Gatwick for our overnight stay at The Marriott Courtyard. Fortunately DH has Friday off, so I'm leaving him all the lovely jobs of emptying out the fridge etc and triple-checking all my lists! 6/4/19 - our flight to Fort Lauderdale departs at 09:30, so it's going to be an early morning. Myself & DH toyed previously with the idea of flying in-direct, but at the end of the day we both felt we didn't want the stress of worrying about connections with 4 kids in tow, so Ocean Florida sourced us direct BA flights to FLL. It’s good to know that once we’re seated we can just relax and watch films, no stress 爛. Previously I'd always said we'd do a DIY holiday, but DH said he'd prefer to book a package & everything through a TA. The only downside is that the accommodation is allocated on arrival (or for an extra £800 we can have it allocated now, which is a bit steep I think), so we've left it as &lsquo;on arrival &lsquo;, but with a request to be as near as possible to the parks. We've also booked a night at Loews Royal Pacific for the benefit of FOLP. Can't wait for this and the kids are all looking forward to the Minions and Simpsons rides. Well, as we return on 20/4 at 16:55, means we land back home on Easter Sunday! 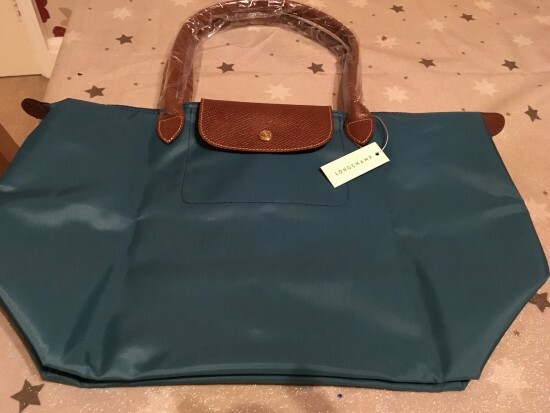 Apart from waiting for our FP day to come around, I'm trying to organise my carry-on bag & other bits (why this requires days & days of researching online I can't quite fathom - in years past I'd have just gone to Debenhams or somewhere & picked one out!). 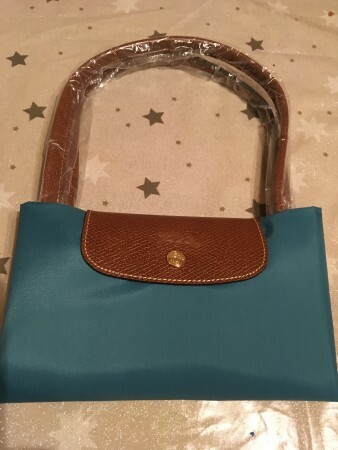 Anyway, I've opted for a Longchamps Le Pliage tote bag in ice blue (pics when it arrives). Not much else to tell you at the moment (as the itinerary is still a work in progress), but I hope you enjoy following us! Not long now till Florida, how exciting. Make lots of memories, and enjoy. ... I will be back !